Although they may not seem like it, but professional carrier bags which reflect your business are a crucial part to the promotion and marketing aspects of your business. The carrier bag industry has changed, not every shop or business have plain white carrier bags or basic brown paper ones. Many of them now have their own specially made, bespoke and amazing carrier bags; and that is exactly what we do. Here at PSK Carrier Bag Printers we design and create plastic, paper and promotional carrier bags which are personalised to our customer's requirements. PSK Carrier Bag Printers are able to provide unique and bespoke carrier bags for those who require them throughout Coventry. We have over 30 years of experience in printing carrier bags, so you can be assured that you are dealing with a company you can rely on. Unlike many other carrier bag printers, PSK still print in the traditional way and therefore can offer you a very fast turnaround time. Here at PSK Carrier Bag Printers, we work with graphic designers within the team, therefore, we are able to produce impacting designs that will attract the passing eye; shouting out your brand. Our designers are able to produce fresh designs with the help of your imagination and requirements or we are able to reproduce existing graphics from old sample bags or your business stationery. Due to having been established since 1979 we have witnessed changes in trends, types of bags and material. We are able to give you expert advice on all aspects of our carrier bag printing service. PSK have used the traditional in-house over-printed flexographic process for one colour printing directly on to carrier bags to achieve faster turnaround times on small quantity orders and the reel-to-reel Flexo method for up to 8 colours on quantities of 5000 and above. We offer a no minimum quantity on one colour printed bags. Here at PSK Carrier Bag Printers, we provide plastic, paper and promotional carrier bags, which can be customised to exactly how you want them. Plastic carrier bags – This is the most common type of day to day carrier bag which is manufactured using strong long-life LDPE polythene materials. These bags are lightweight, reusable, eco-friendly and fully recyclable. 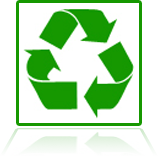 All our plastic recyclable carrier bags are processed to achieve fast turnaround times at low costs. Our turnaround times for these bags is next day to 1 week. You can view the plastic carrier bags we have to offer here. 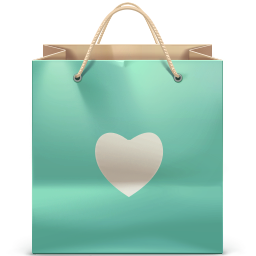 Paper carrier bags – Is your business a high street fashion industry? If so, our paper carrier bags are perfect for you. However, they are completely suitable for all uses. Available from a basic lightweight brown paper handle to a laminated heavy duty twisted rope handle bag with your personalised design. Our turnaround times for these bags are considered to be around 3 days to 6 weeks. See what we have to offer on paper carrier bags here. Promotional carrier bags –We believe that our promotional carrier bags are amazing for special business announcements, strategic marketing or exhibition events. We are able to custom design graphics or take artwork and designs from you in order to produce the perfect promotional carrier bags for you. Our turnaround times for these types of bags are next day to 6 weeks. Find out how we can help attract your audience with our promotional bags here. We have been providing the area of Coventry with professional, reliable and bespoke carrier bags for many years. Which is why we are dedicated to ensuring that our service meets your requirements. Coventry began as a Saxon village and was originally named Coffantree. When Coffantree eventually became Coventry it was divided into two halves. The northern half was controlled by the Prior and the southern half was controlled by the Earl. This city is home to medieval castles and ancient legends, historic market towns and popular shopping quarters. With beautiful monuments such as Coventry Cathedral, St. Mary’s Guildhall and Cook Street Gate; Coventry is a city we are always happy to provide printed carrier bags for. Here at PSK Printed Carrier Bags, we are always happy to discuss your requirements in order to meet them sufficiently. Our team are fully trained in all aspects of printing plastic, paper and promotional carrier bags. Our opening hours are Monday – Friday, 9am – 5:30pm. If you are within the area of Coventry and feel as though our printed carrier bag service could be beneficial to you, please don’t hesitate to get in touch with us by calling 01562 743 621 or 07484 066333.